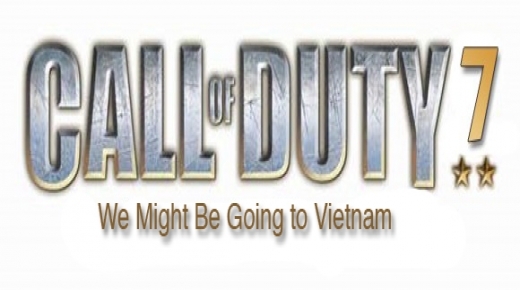 The official announcement of a Vietnam Call of Duty game was a long awaited confirmation of a rumor which had been simmering for months prior. It was officially announced today that Call of Duty: Vietnam will be the next installment in the Call of Duty series, according to VentureBeat.com. Call of Duty Vietnam, which will be possibly the biggest name among historic military tactical series to set a game in Vietnam, is among only a small group of such games set in Vietnam. Call of Duty: Vietnam which is expected to be released on PC and all major consoles—including the PlayStation 3, Xbox 360 and Nintendo Wii—may help to boost the popularity of historic tactical games focused within the context of the Vietnam War, according to one view among industry analysts. Seven years ago, games with this particular historic focus were all but nonexistent. In 2004, however, the release of Shellshock: ‘Nam ’67 from Eidos Interactive for the original Xbox console marked the first video game console release of a Vietnam game, and was was followed shortly thereafter by the release of Conflict: Vietnam for the PlayStation 2. One reason which can be easily cited as to why it took until now for a franchise with the popularity of the Call of Duty series to release an entry set in Vietnam or for why it took until 2004 for any Vietnam game to reach home consoles is the political controversy surrounding the war effort. While it had been less of a challenge to portray the war in movies in the past without creating too much of a climate for controversy, it was more of a challenge to do the same for a tactical game in which the player must assume an active role in a war effort toward which many were strongly politically opposed. That political tension, however, appears now as though it is becoming less of a factor in the context of historical tactical games.